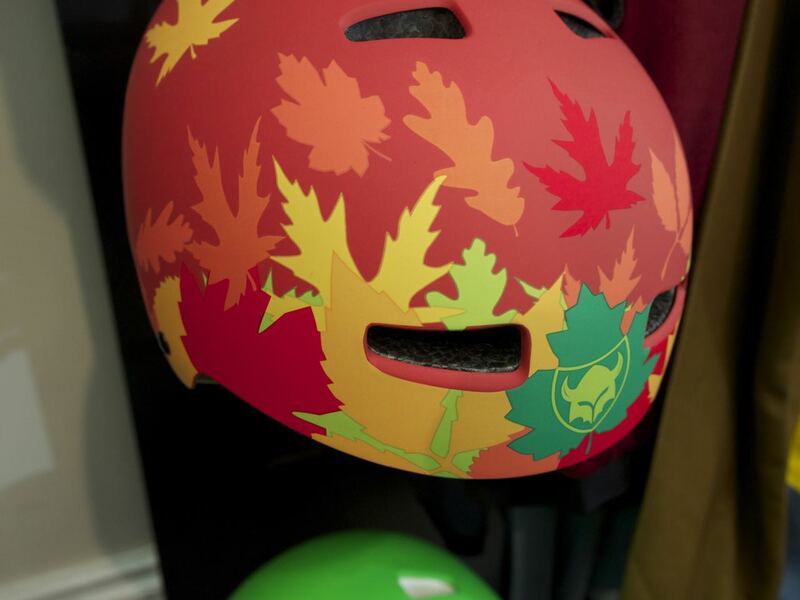 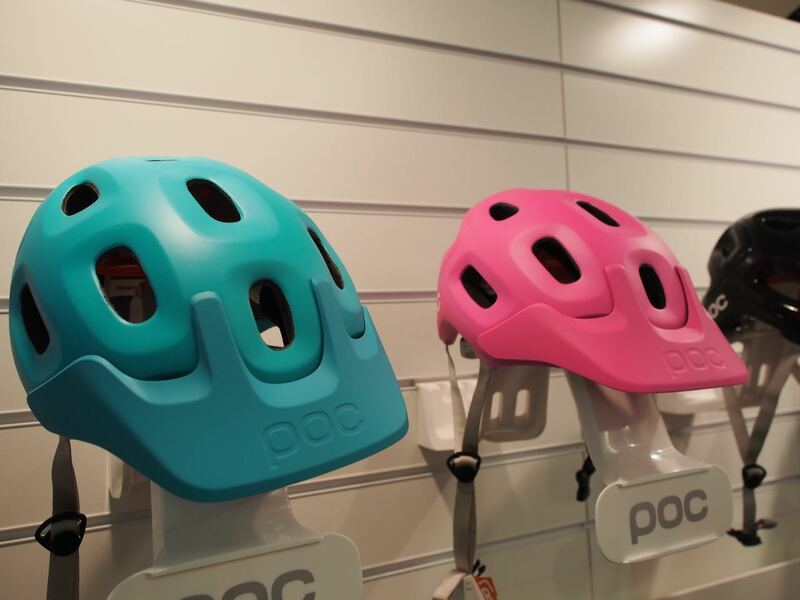 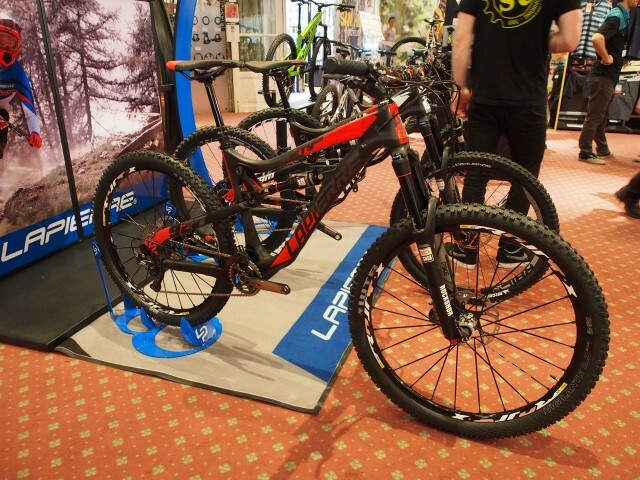 Here’s another instalment of fresh kit from CoreBike 2015! 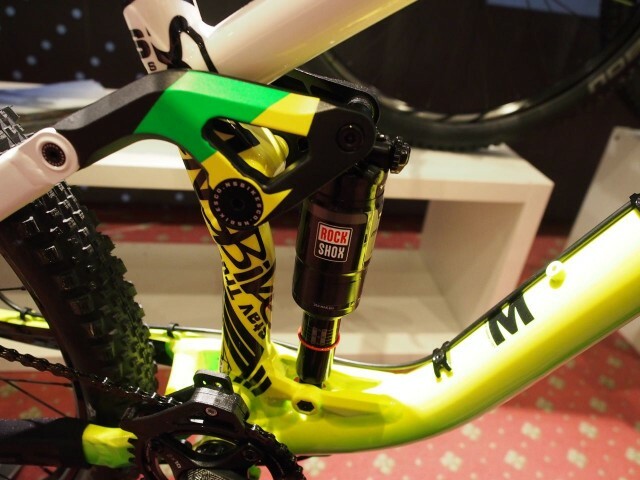 The Snabb comes kitted out with Rockshox Pike and Monarch RT3 Debonair taking care of suspension duty with a 1×10 drivetrain complete with a 42t expander cog to winch you up steep transitions or give you get you home spin option at the end of the day. 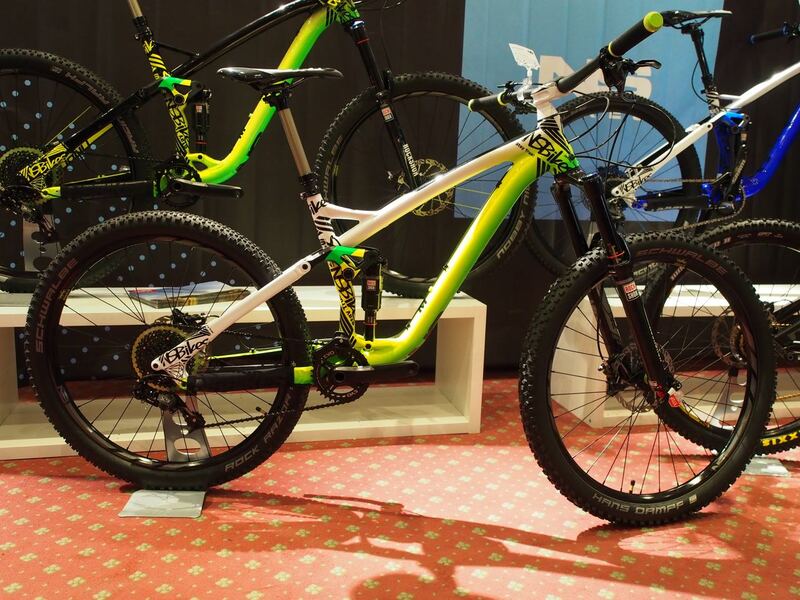 It’s available in this white and green fusion colour – or it can be purchased as a frame only in black. Also on show from the Hotlines boys was the very beautiful Lapierre Spicy UK edition. XTR, RockShox, Mavic… this bike is jam-packed full of lovely, lovely product loveliness, and it comes stock with some decent tyres! 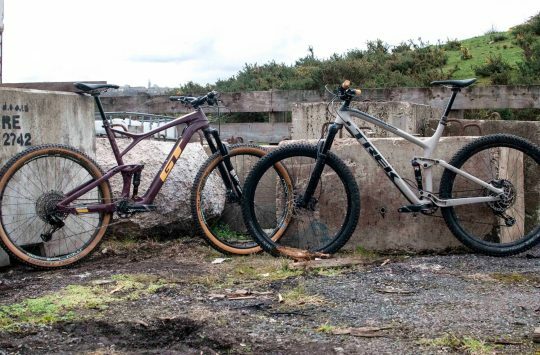 It’s nice to see bikes that don’t need the spec sheet tweaking. 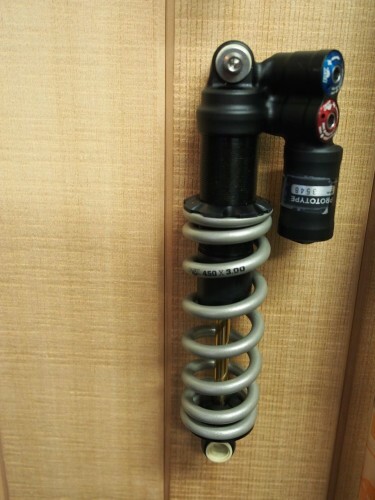 FOX Suspension had a few prototype shocks to show, no information on them as yet and what’s inside is still a mystery. Manon Carpenter’s Saracen Myst World Champion’s bike was on display – and this is the shock she’s been running. FOX 36 internals. It’s not as complicated as it sounds after all. 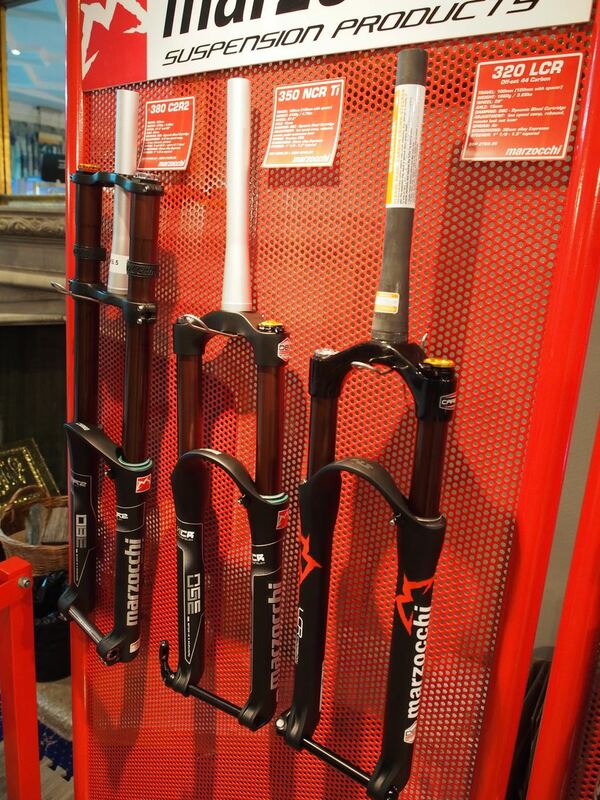 Appealing to lovers of plush suspension and strong coffee are Marzocchi’s new forks with ‘espresso’ coated stanchions. 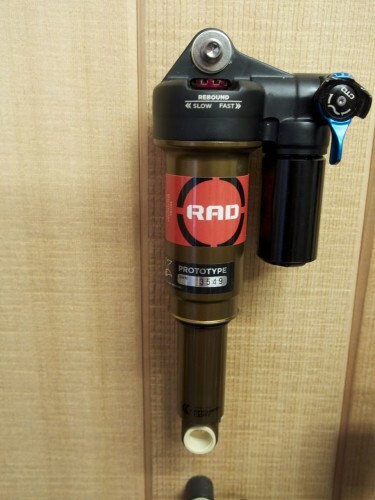 There’s also a new matching air shock. 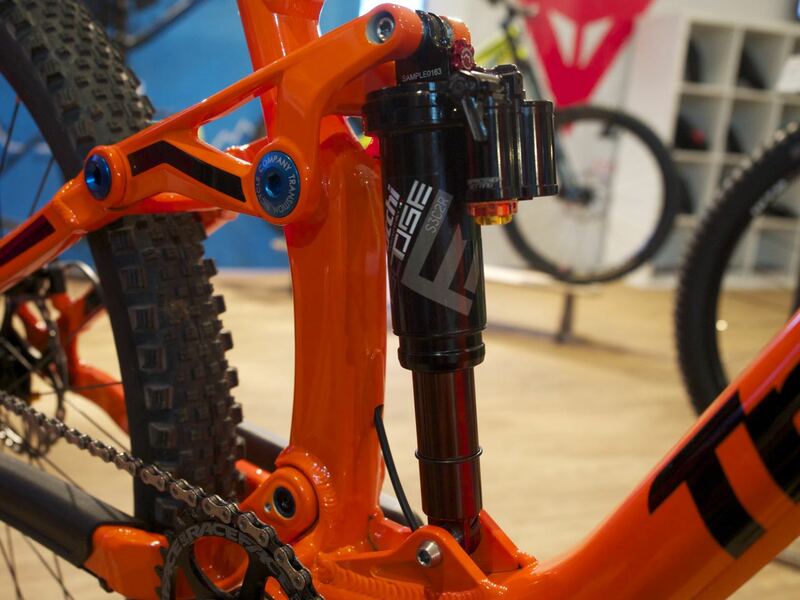 Espresso coated suspension from Marzocchi. 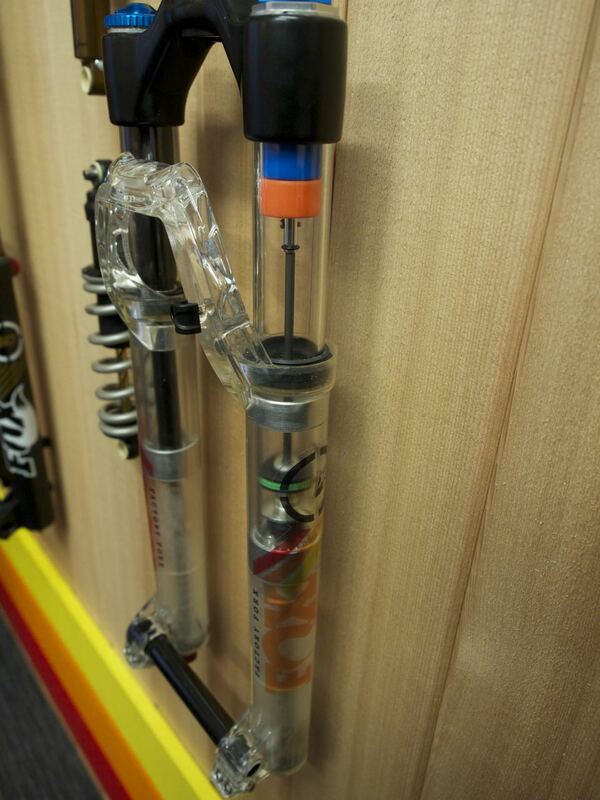 One of the biggest attractions to the Marzocchi booth was their new dropper post. 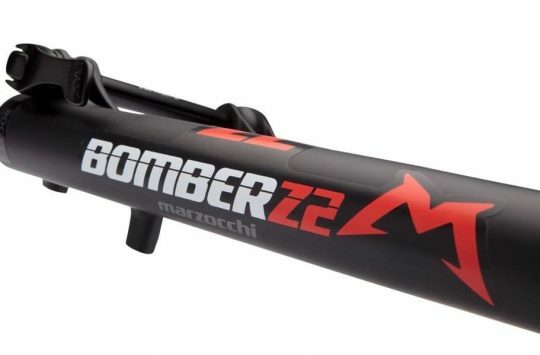 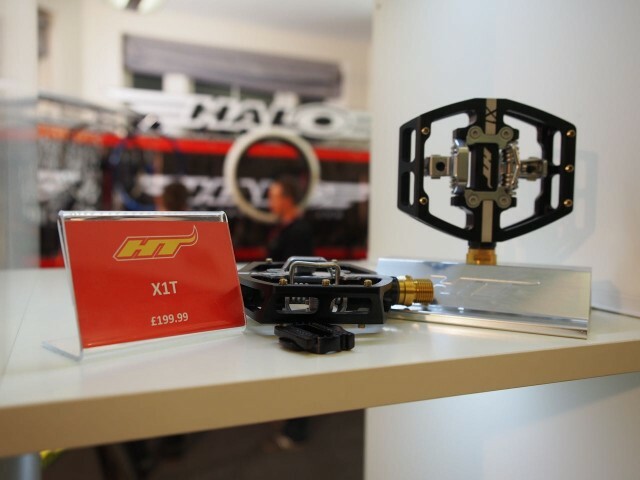 The cable operated 125mm post has apparently been in the works for a good few years but Marzocchi wanted to get it absolutely faultless before it’s released. Suggested price is around £250. 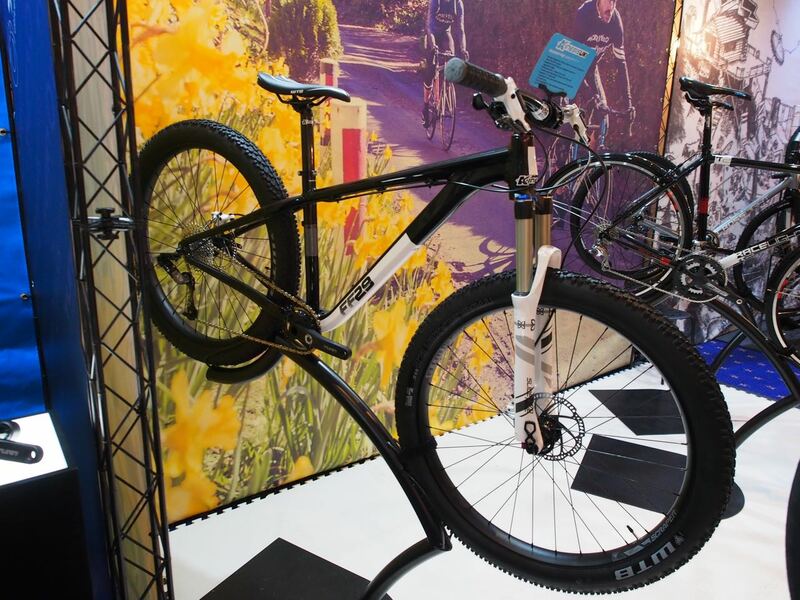 Not your standard FF29, this Kinesis beauty had some 27.5+ wheels on, a taste of what’s to come? 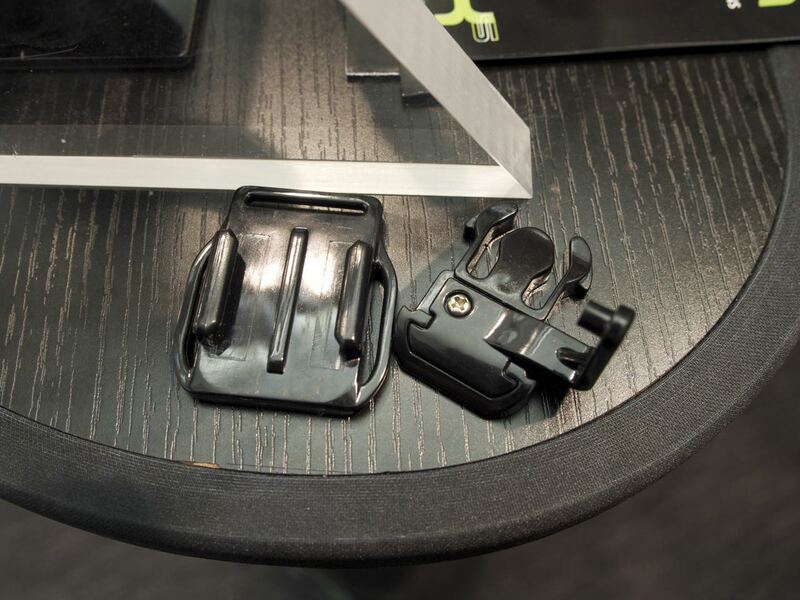 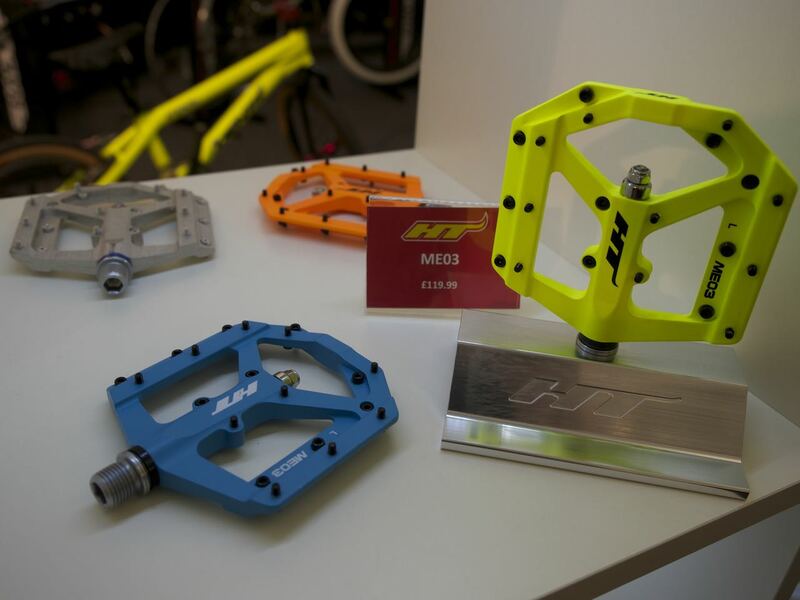 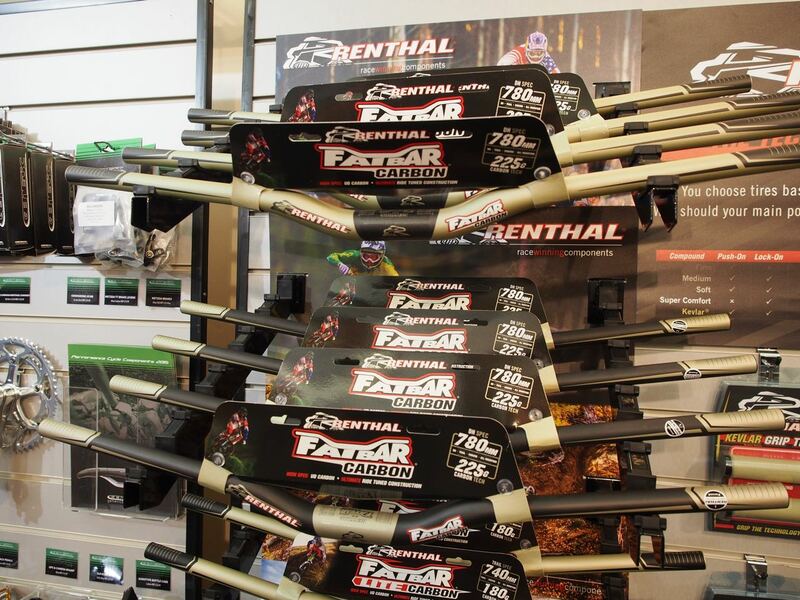 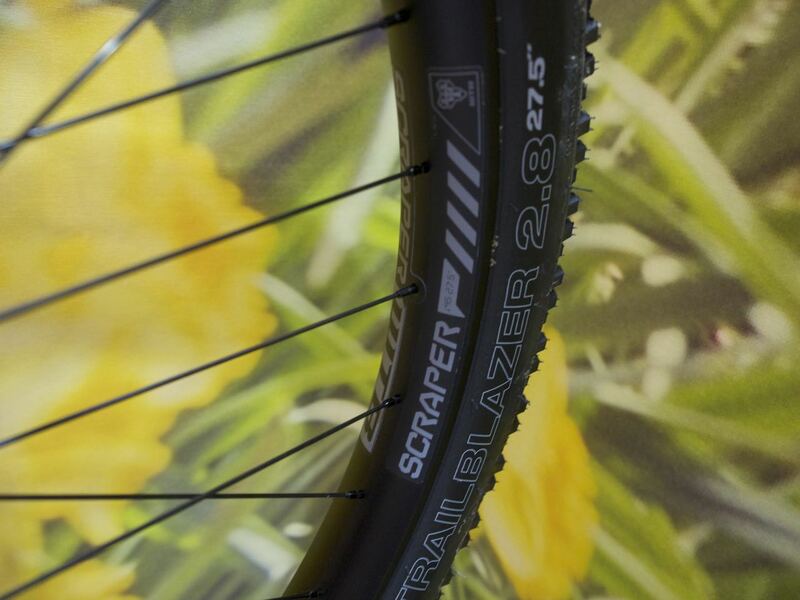 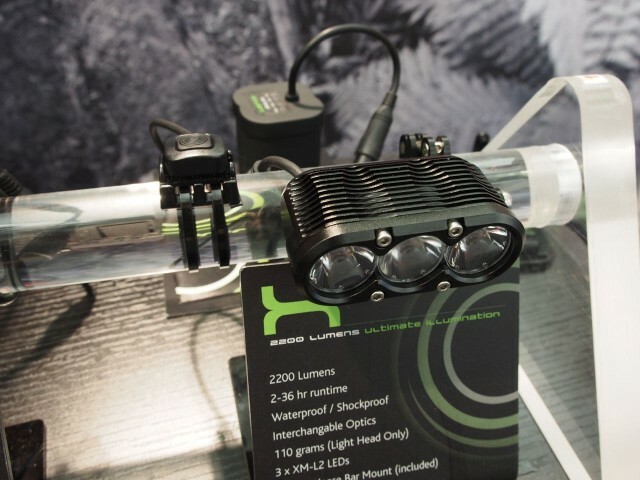 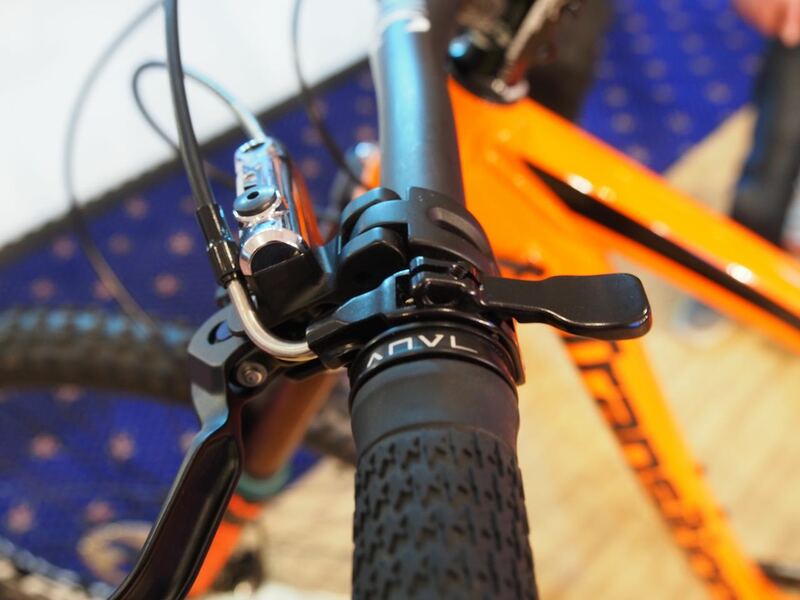 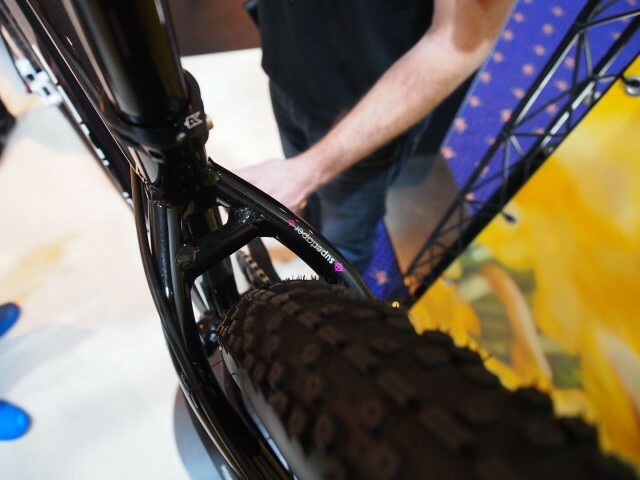 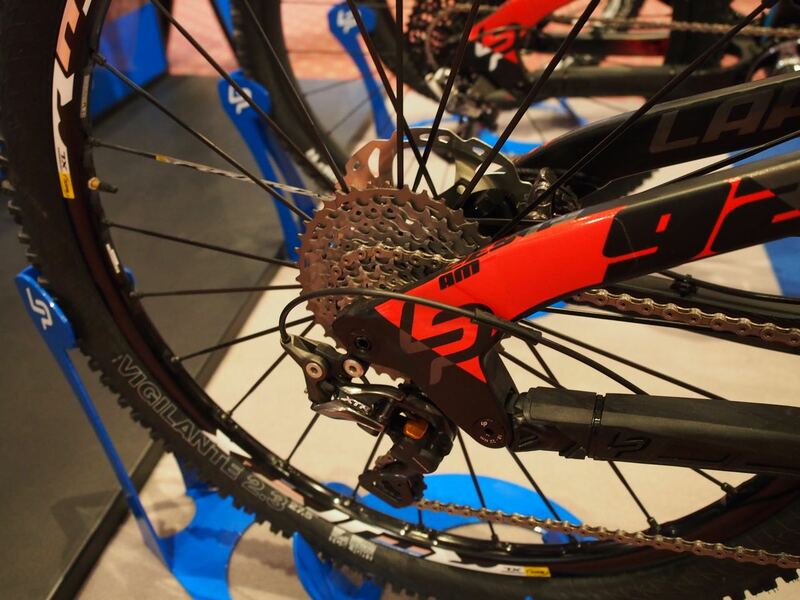 We had a first look a DMR’s new cranks at Eurobike last year. 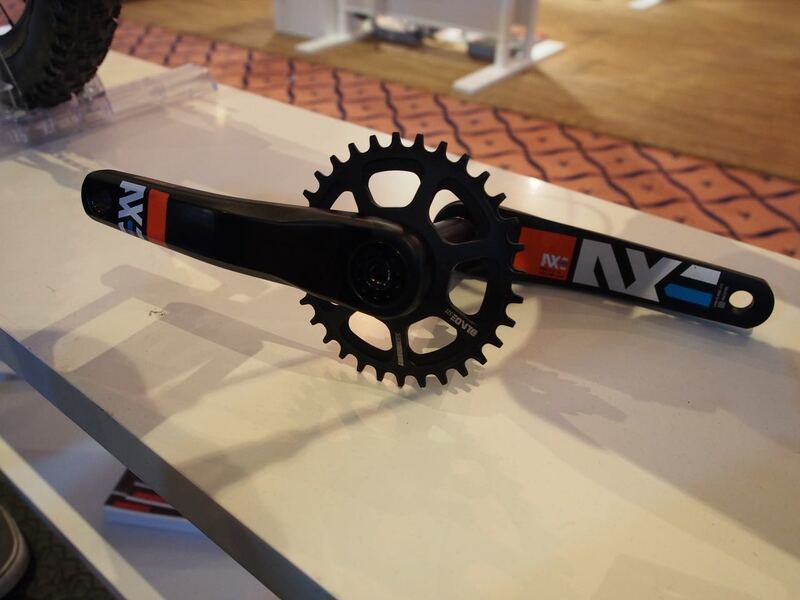 The AXE crank will be £249.99 including narrow wide ring, bb and hardware. 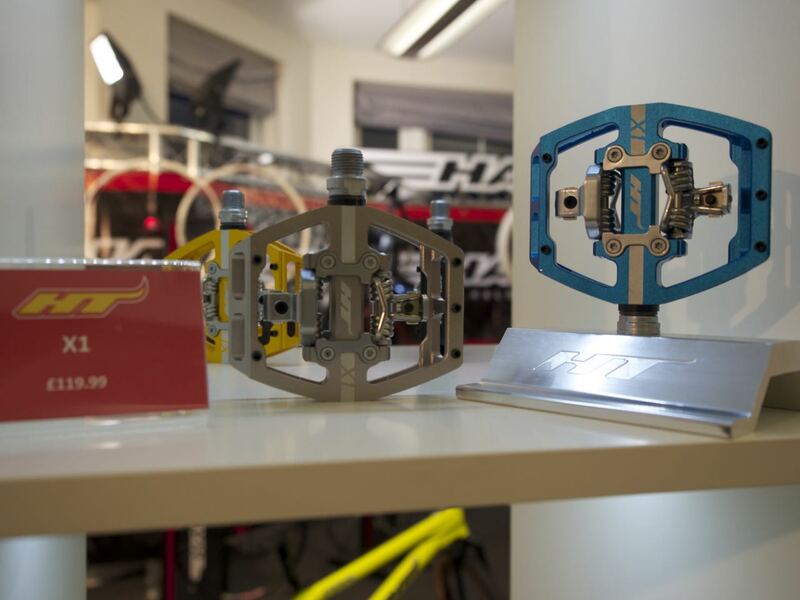 details on the ‘zocchi post? 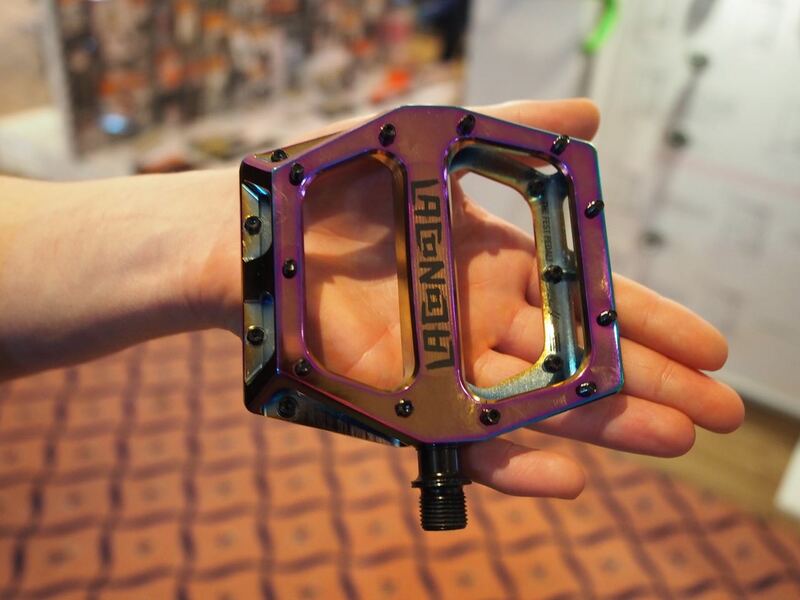 overall length, dropping length, price, weight? 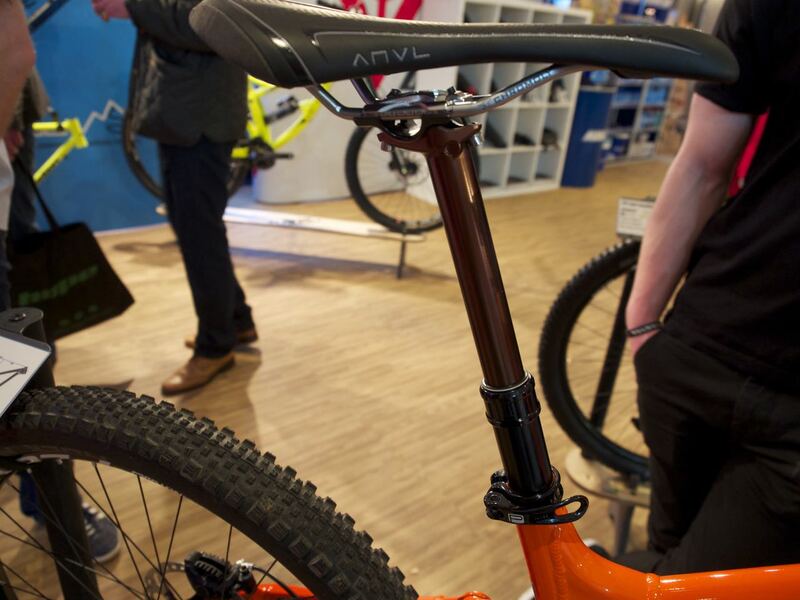 I want a set of those see through fox forks! !